There are few things in IT that are worse than needing to recover some data and realizing that you don’t have a proper backup of it. Well, good thing for me, this only happened in my home lab and not at my day job. I suffered a power outage during some recent bad weather and one of my management VMs, the VM that had everything that I use to manage my home lab, decided it wasn’t going to come back up. Oh how I wish I had a backup of that VM so that I didn’t have to spend hours getting it back to where it was before the crash. So, I decided I needed to get something in place so that this wouldn’t happen again. 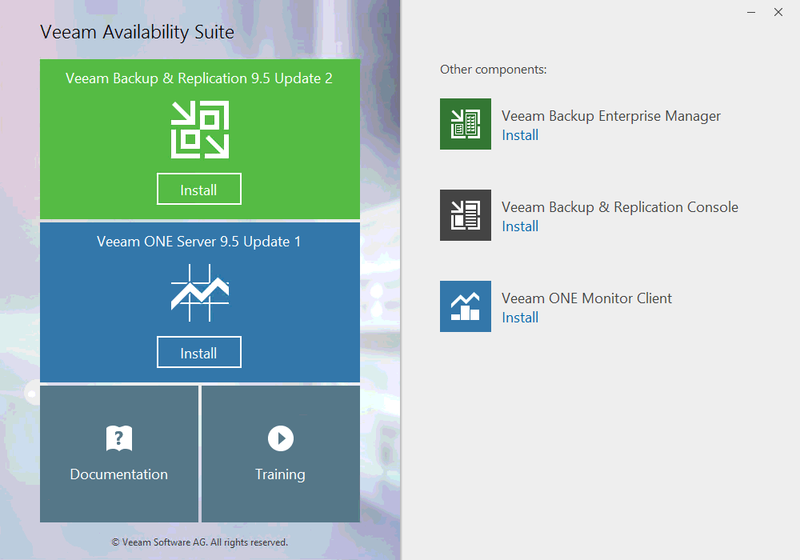 Veeam…to the rescue! 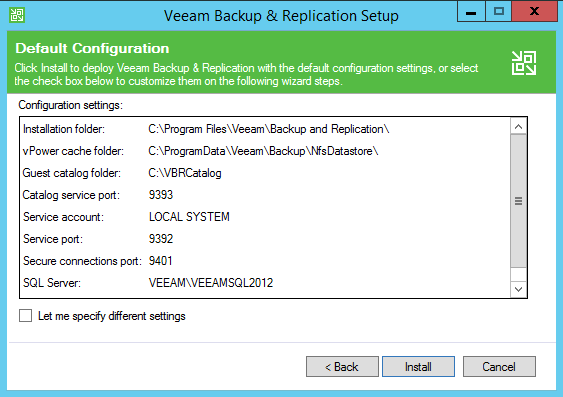 I’ve used Veeam before at my previous job as our primary backup tool but it never hit me to try it in my lab because I also remember the cost! And for a small home lab it just wasn’t feasible. 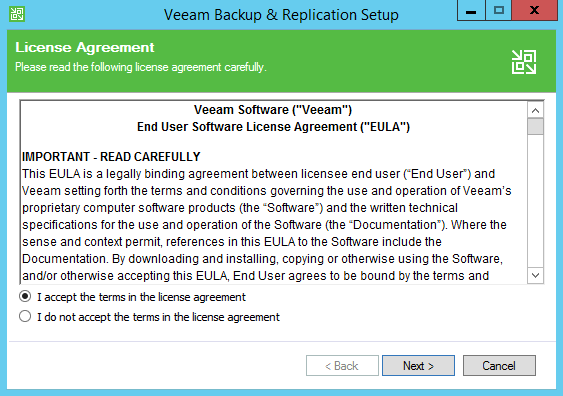 But then I realized that Veeam gives a NFR license to vExperts…..say no more! 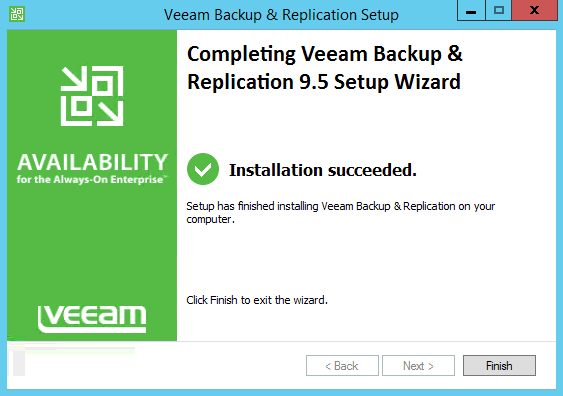 In this blog I will go through the install for Veeam Backup & Replication 9.5. Memory: 4GB RAM plus 500 MB RAM for each concurrent job. Disk Space: 2 GB for product installation and 4.5 GB for Microsoft .NET Framework 4.5.2 installation. 10 GB per 100 VM for guest file system catalog folder (persistent data). Additional free disk space for Instant VM Recovery cache folder (non-persistent data, at least 10 GB recommended). 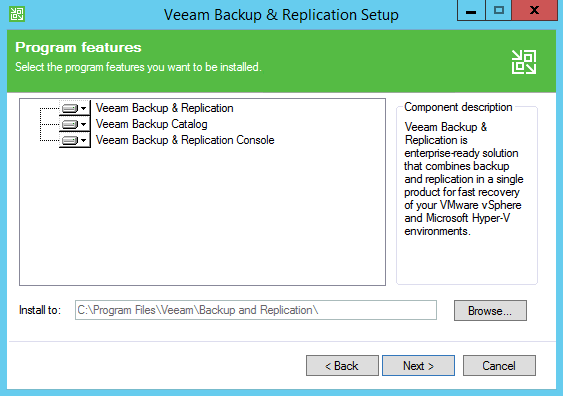 Once you have the software downloaded the software and placed it on the server you want to install it on, double click setup and click Install under Veeam Backup & Replication 9.5 Update 2. 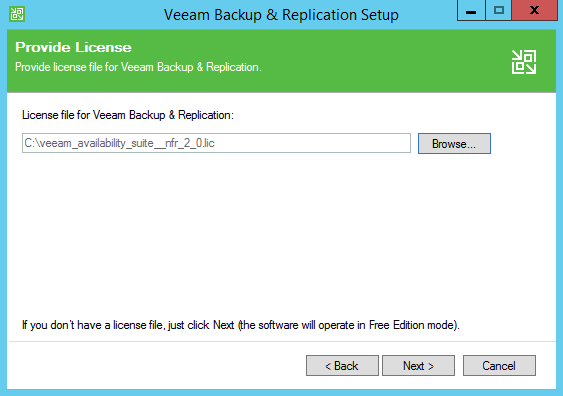 When you sign up for the NFR license, Veeam will email you a license file. You will need that file in order to activate the NFR version. If not, it will continue the install in Free Edition mode. Browse to your license file, select it and click Next. 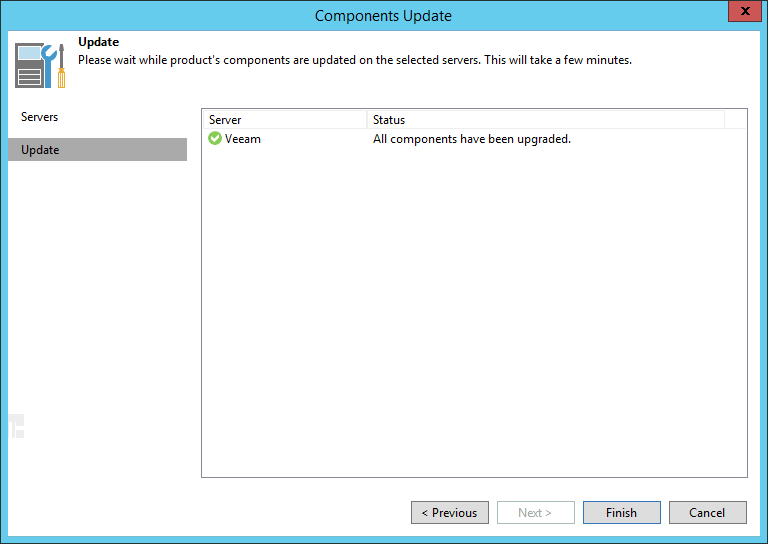 Select the components that you want to install. Click Next. At this point in the install, the software will check to make sure you have all prerequisites installed. If any of the components are missing, the setup will install the missing components. You can click Install on each of the components that you are missing. 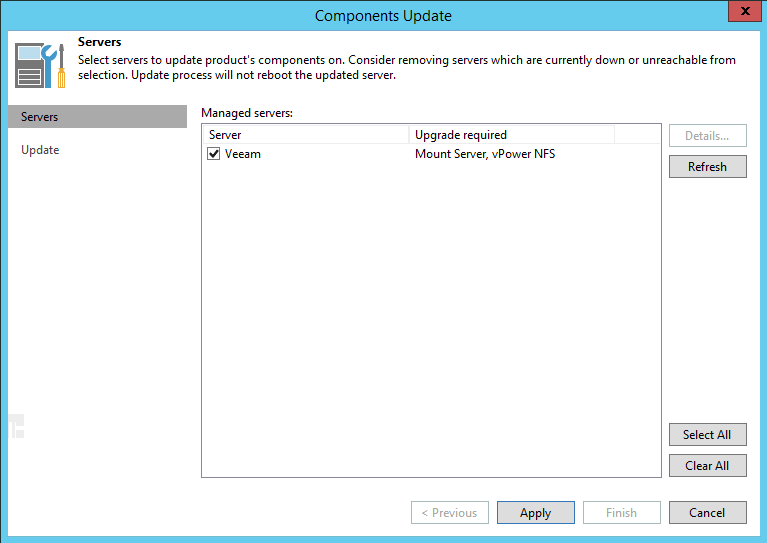 Once all the needed components are installed, proceed with the Veeam installation by clicking Next. Verify your configuration settings and if you are satisfied, click Install. 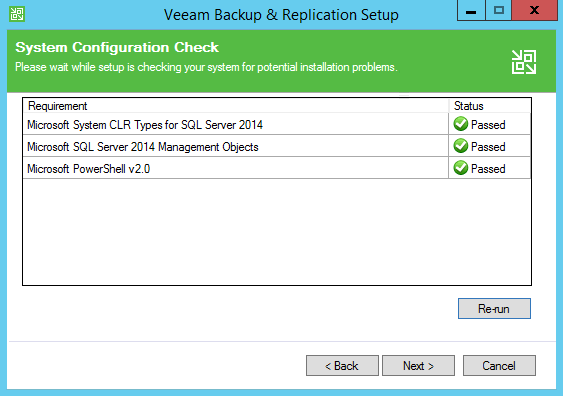 The first time that you open the Veeam Backup & Replication Console, the components will need to be updated. You will be presented with this screen on your first login. Click Apply to begin the component upgrade. Once all components are updated, click finish. And that’s all there is to it. 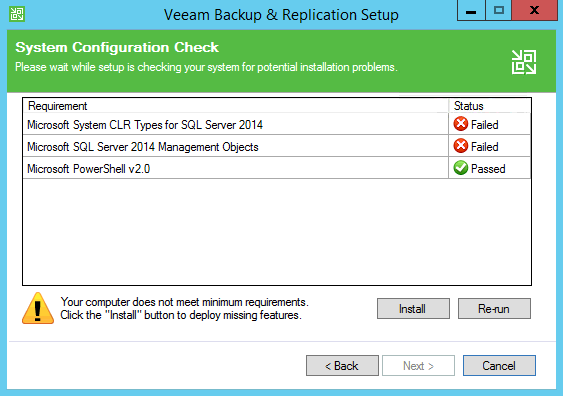 Now that Veeam is installed, you can begin creating backup of your important VMs.